Members of the Heritage Society are among the University of Hawaiʻi's most important constituents. 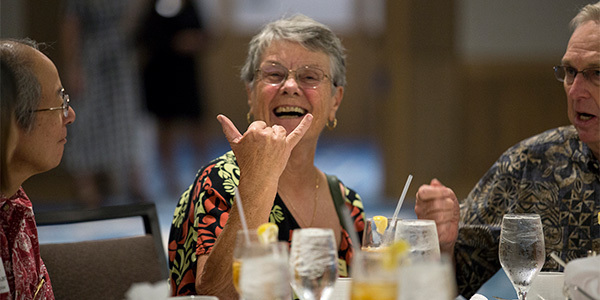 Founded in 1998 the Heritage Society honors alumni, faculty and friends who have used charitable estate and gift planning to give to the University of Hawaiʻi. During the Centennial Campaign, their support amounted to $87 million to the University of Hawaiʻi Foundation for the benefit of UH. Donors also qualify for membership in the Heritage Society when they name the UH Foundation beneficiary of a life insurance policy, retirement plan, or deed a personal residence or vacation home with retained life estate to the Foundation.